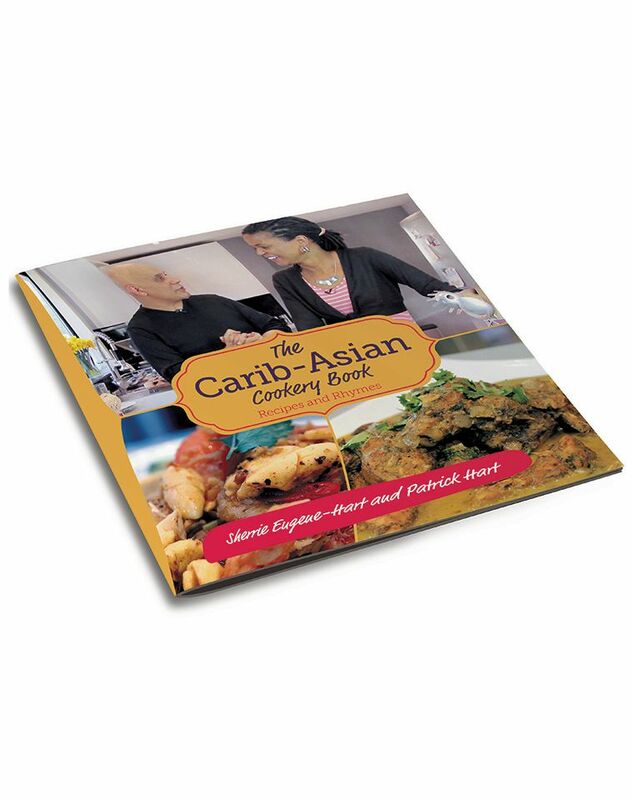 Discover a melting pot of West African Caribbean, Asian and Englishflavours in this unique recipe book based on the authors' 'Carib-Asian Cookery Show'. The Carib-Asian Cookery Show has taken the country by storm, and has attracted over 1.4 million viewers from across the UK. Pat Hart and Sherrie Eugene-Hart have a passion for food and they want to share it with you. Hailing from India and the West Indies respectively, this husband-and-wife duo’s culinary influences reach far and wide. They invite you to try the Carib-Asian concept and cook up some stunning recipes. Viewers of Carib-Asian cookery show will know that these two seasoned broadcasters have chemistry. With chemistry comes heat, and sparks sometimes fly as they banter their way through the recipes. Pat and Sherrie love the heat, they love the kitchen and, when all’s said and done, they love each another. They hope you'll love your Carib-Asian experience. Bristol-born Sherrie Eugene-Hart has enjoyed over 30 years of broadcasting. She started with HTV Bristol as the sign-language interpreter for deaf viewers and went on to present everything from sport to current affairs, human interest to community interest and children’s to cookery. The award winning presenter eventually anchored the nightly flagship news programme 'HTV News'. Sherrie travelled the Caribbean with her production 'Sugar and Spice' exploring the authentic dishes of each Island. She also presented the Vegetarian cookery programme 'Green Grow the Dishes'. Sherrie admits she honed her culinary skills from her mother Rita, who, together with Sherrie’s father Hector, came to Bristol from the idyllic Caribbean Island of Dominica in 1960. Sherrie continues to produce human interest documentaries and has over the last few years enjoyed writing poetry. The Carib-Asian concept was born when Sherrie married musician, music producer and broadcaster Patrick, whose parents Ruth and John hail from India. Patrick Hart has spent most of his life in Bristol, after moving there at the age of 13 from Nottingham. His culinary skills were also inspired by his mum, who cooked Indian, Italian, Greek and English dishes at home. A successful recording artist and founder of the legendary group Freshblood Crew, he sold hundreds of thousands of records. Patrick used that love of music coupled with his passion for sport to form a multi-million pound youth and media consultancy. Patrick is currently living his passion as CEO of multi award-winning radio station BCfm, providing ‘Culture Change’ consultancy services to corporate clients, making and developing new radio and television programme strands and, of course, fulfilling his role as a father as well as being a contributor and speaker for an array of other media organisations. He’s no stranger to fusing occupations and together with Sherrie, alongside their ethical broadcast arm E-Com Media, they’re fusing Caribbean and Asian cuisine in their own inimitable style, bringing this brand new concept to our screens and now through the pages of this book. Download a copy of the authors Advance Information (AI) sheet here.